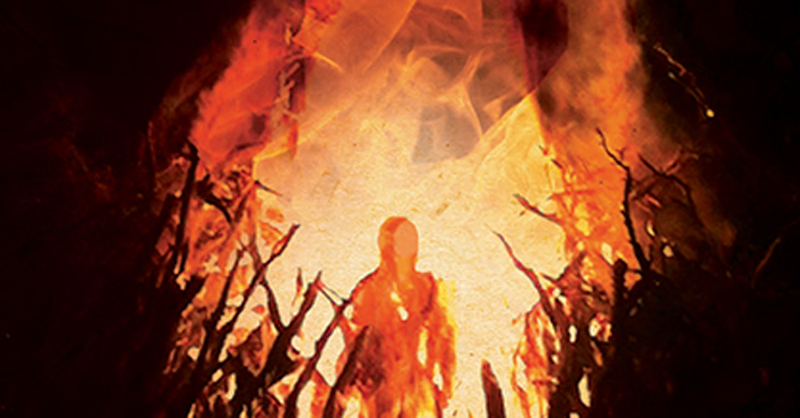 Joe Hill has been on an upward track the last couple of years: from his debut novel, Heart Shaped Box, to Horns and NOS4A2, he has consistently turned out outstanding, horrifying stories, and his latest, The Fireman, shows that he’s not going anywhere but up. The Fireman tells the story of Harper Grayson, a nurse in New Hampshire helping patients after a plague called Dragonscale breaks out across the world. The fungi spreads rapidly, first appearing as black and gold marks on the skins of patients before they spontaneously combust. When the marks appear on Harper, she decides that she wants to live long enough to give birth to the baby inside her, contrary to the pact that she and her husband made when the plague first appeared. The book itself is far more interesting than the premise lets on: Hill spins out a compelling, thoughtful story that meditates on how communities can go completely wrong with the right stimuli. After Harper discovers that she has the illness, she flees from her husband (who could pretty much be a deranged version of GuyInYourMFA) and is rescued by a mysterious figure clad in firefighting gear. He takes her to Camp Wyndham, where she discovers a whole group of the infected are hiding out from roving cremation crews and vigilantes (which later includes her husband). There, she learns something startling: they’ve learned how to prevent the infection from burning them up. Not only that, Dragonscale seems to allow them to connect on a deep, communal level. The Fireman can even control the flames on his body. Their hideaway has become a refuge where they have formed a safe, small ocean of calm in the midst of a burning New England. Hill uses this idea to play out how groups can become frightening arrangements, either as a family, a small community, or a nation. As Dragonscale incinerates city after city, we watch as drastic, devastating things happen to people who threaten the collective safety of the larger whole. Harper’s husband attempts to kill her when she comes down with the illness, while local and national governments fall back on extremists to herd the infected into quarantine camps where they can die away from everyone else. In Camp Wyndham, anyone who poses some threat to the internal order of the community is ejected or killed. When Harper comes to the camp, it seems like the safest place for her and her unborn child. She learns how to control the infection on her body, and has access to shelter and food. As the months drag on, the tension only increases for the group. When the camp’s de facto leader, Father Storey, is mysteriously attacked, the residents place his daughter Carol in charge. Under Carol, the camp turns into a dark place, and this is where the novel really gets its feet under it. Eager to help ensure everyone’s safety, paranoid and unwilling to relinquish power, the camp becomes a place where there’s only one voice: hers, and Harper is forced to navigate a tenuous existence in her new home. Complicating matters is Dragonscale itself: it allows the infected to connect with others - it’s not quite telepathy, but a sort of group mind. In perfect situations, it could form the basis for the utopian society that everyone at Camp Wyndham envisions. With the wrong personalities in charge, that utopia becomes a dystopia quickly. Hill’s ambitious book covers some well-tread territory; there’s more than a passing reference to books such as Ray Bradbury’s Fahrenheit 451, Margaret Atwood’s Handmaiden’s Tale and J.K. Rowling’s Order of the Phoenix here. While the themes are familiar, Hill’s outstanding writing and characters carry the story effortlessly, and from beginning to end, I was glued to this book, unable to look away. Of all of Hill’s books, The Fireman feels as though it’s the closest to the ones his father is best known for. This doesn’t feel like his earlier novels, such as Horns or Heart Shaped Box: The Fireman is a sprawling - at times too long - ambitious novel with an interesting twist on horror and the modern world that is eminently readable. There’s little wonder that it topped the New York Times Bestseller list recently. But, it’s also not a Stephen King book: The Fireman carries Hill’s unique style loaded down with popular culture references and wordplay (I even caught a reference to his last book, NOS4A2), which makes this a delight to read. It’s a terrifying, exhilarating ride from beginning to end, and it’s quite possibly Hill’s best novel to date. The Fireman is now available from William Morrow.